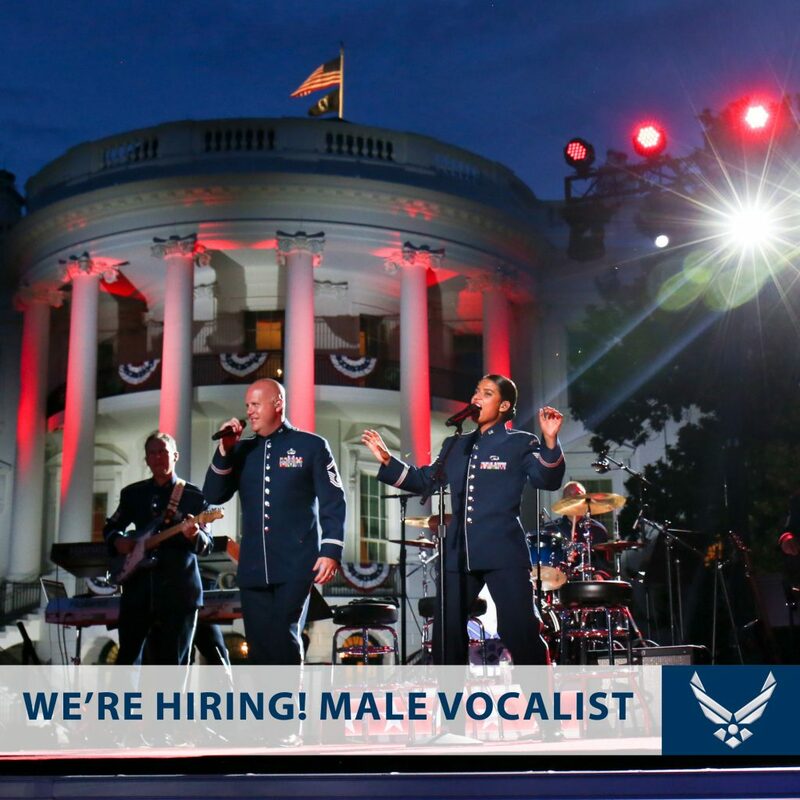 Lead Male Vocalist for the Premier Rock Band of the United States Air Force (Washington, D.C.). for permanent duty with the United States Air Force Band in Washington, D.C. Applicants must be aged 18-39 and qualify for service in the Air Force. Primary duties will include rehearsals and performances with Max Impact. Max Impact is the premier rock band of the United States Air Force. Through national tours, local performances, and audio & video recordings, Max Impact showcases Air Force excellence to millions each year. In addition, they support events for the White House, State Department, Department of Defense and numerous other high-level military and civilian functions. Electronic resumes must be received as a PDF file and content must include name, phone number, and email address. Upload files to a folder on Google Drive or Dropbox and share the link in your application email.